HD recorders are meant to store the images from your IP camera and look back. 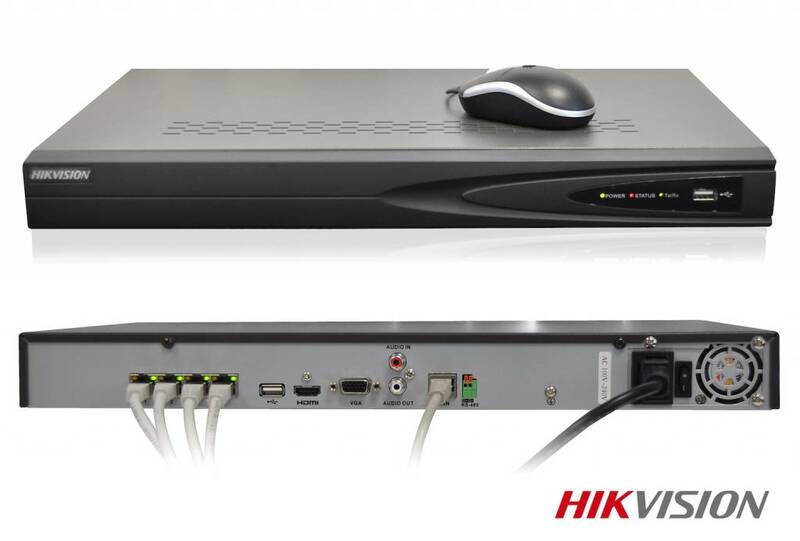 Below we have HD recorders for (Hikvision) ip cameras that are already connected in your network. If you want to connect your existing or new (Hikvision) cameras plug and Play, use a PoE recorder (Power Over Ethernet). You plug the utp cable into the camera and directly into the recorder and you have image. See an example below.